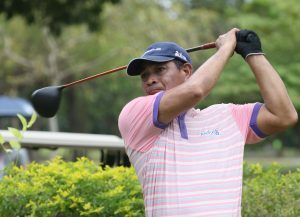 Cebu City –Davao City Golf Club completed its title run with a huge bang, bringing home this year the 72nd Philippine Airlines Interclub Friendship division title which wrapped up if four-day competition Saturday at the Mactan Golf and Country Club. Davao City Golf totaled 306 points (66-80-77-83) to edged out closest rivals South Cotabato Golf and Country Club which settled second with 288 (71-78-65-74) and Iligan Golf at third paced at 259 (73-69-64-53) at third. Edipolo Caturan led DCGC’s final day charge with 24 points to complete its total at 83. He was backed by Rommel Lee (23), Rodolfo Luna (20) and Alvin Tesado (16). 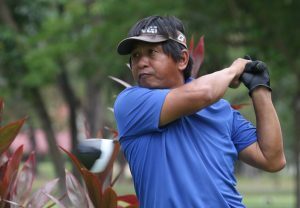 Davao City Golf surged to the lead on the competition’s second day of action leaving past South Cotabato by as much as 12 points and never loss its composure on final day. Other members of team Davao City Golf Club include Ian Dagatan, Rodolfo Luna, Ryan James Guiang, Randy Ceniza, Russel Mon Salazar, Godfrey Costinares and Alro Paglinawan.